GET A FARM FRESH START TO YOUR DAY – IT IS THE MOST IMPORTANT MEAL! One of the signature Farmhouse experiences is to start your day on a culinary journey that represents Sonoma County at its best, showcasing a seasonal menu that reflects the region’s incredible diversity of agriculture and artisan producers, its rich heritage of Italian, French and Mexican immigrants and its consistent focus on local, organic and sustainably farmed meat, dairy and produce. Chef Litke’s team executes a mouthwatering 2 course signature breakfast or seasonal à la carte selections that are crafted from the eggs gathered at Joe’s, one of our owners’ farm, just a few miles away. Artisanal focused, super local ingredients and handmade pastries – you know it’s going to be a great day when you start with a breakfast at Farmhouse. 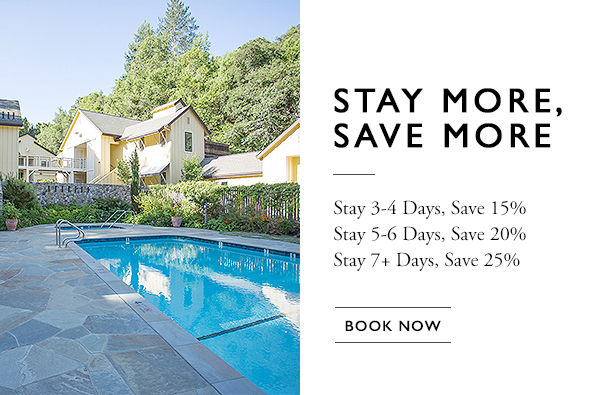 Enjoy seating in the intimate Michelin Star dining room or savor breakfast on the sun dappled courtyard and patios and relish in Sonoma’s nearly perfect year-round weather. Call 707-887-3300 with questions or to secure your reservation by phone. Open to the Public by reservation only.